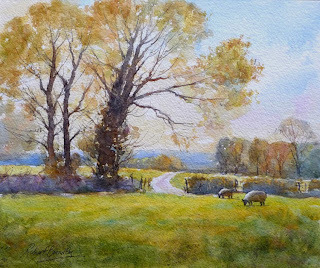 Thank you to everyone who attended my Watercolour Demonstration at St. Edward's Art Group yesterday, you all made me feel very welcome, as usual! Here is the completed painting as promised. I painted the tree on the left. added more texture to the foliage, re-painted the foreground grass & added two sheep.